Home Outdoors Best Reloading Scale: Which Ones Are Accurate? Photo courtesy of Serge Melki via flickr. Used under a CC BY 2.0 license. To most enthusiastic sharpshooters, reloading is usually preferred over assembled factory-loaded cartridges. Most shooters take pride in fabricating their own rounds for more cost-efficient ammos, and in enhancing their firing accuracy and performance. Read reviews of the best reloading scales in 2019 on Amazon. The reloading process requires reloading tools and equipment to ensure high quality of bullets produced. If this is one aspect that you wish to do yourself, there is one vital tool that you must have in your arsenal – the best reloading scale to check bullet weights, primers and gunpowder, to sort cases by weight, and to verify case volume by water capacity. There are two different types of reloading scales available in the market today – the traditional balanced beam scale and the digital scale. The former uses gravity to get results (which can be quite inaccurate as they are generally off by a few points, and painstakingly slow with several rounds to load); while the latter employs 2 double-A batteries to deliver results fast. Infinitesimal difference in weight cannot be ignored because gunpowder is a highly-volatile substance, and seemingly minor discrepancies can make an impact on performance. For this reason, go for the high-precision digital reloading scale that will give you the best results for your reloads. With 1/10th grain accuracy, the Frankford Arsenal DS-750 provides high-precision accuracy for measurement of bullets, powder, cases, or loaded rounds – it measures in grains, grams, ounces, and carats, with a 50-gram or 750-grain capacity. This amazing scale features easy and simple controls for quick and easy changes of units, counting, or tare weights. It supported by a big, high-contrast backlit display for easy reading even in low-light conditions. The unit is well protected from any foreign material or moist by a clear plastic cover. The kit includes a carrying pouch to hold the powder tray, scale and calibration weight. This accurate electronic scale operates on 2 AA batteries; you’ll never worry leaving the unit on and unattended because it will automatically shut off after 60 seconds of inactivity. This auto-calibration scale is priced unbelievably low from $20 to $40. The Rangemaster 750 scale by RCBS, a top producer of ammunition reloading equipment for pistols and rifles for over 60 years now, is making headway in reloading scale functionality, dependability and durability. At the price that scales are available today, this brand is rather pricey at around $150, probably due to the RCBS name. The best features of the Rangemaster are – capacity of up to 750grains, 1/10 accuracy, easy to use, large digital display, AC/DC powered, grain or gram units of measure, compact form and 1-year warranty. The package also comes with two calibration weights, which makes this handy equipment very easy to calibrate. Like other digital scales, it is very sensitive to even the mildest drafts and vibrations. 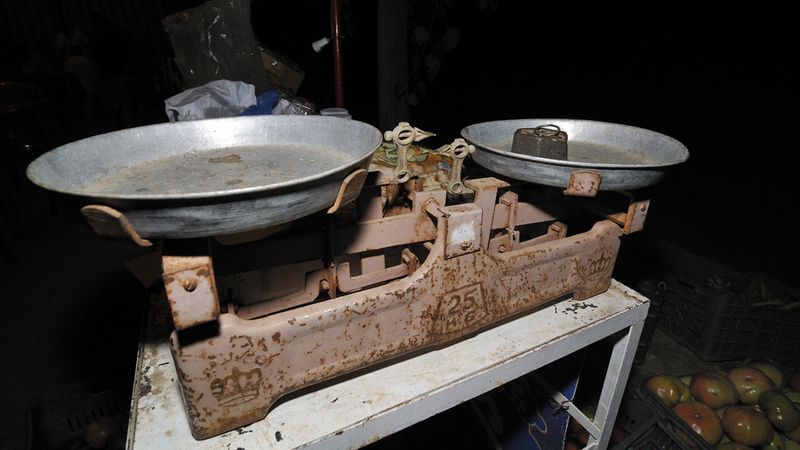 Always find a stable place to do the weighing, and take time to warm up and calibrate the scale. Hornady electronic scale weighs with 1/10 accuracy and has a 1500-grain capacity. Two calibration weights (10-gram and 50-gram weights) are included; and the scale reads in grains, carats and grams. It operates on 220-volt AC, with no provision for battery or DC power. That can be a minus factor for some; although the high grain capacity is a huge plus. This instrument is highly sensitive, which is both a good and a bad thing. This sensitivity makes it highly precise in its measurement, but the same property allows it to be easily disturbed by vibrations from nearby reloading presses, the breeze or very low temperature. A heavy stable bench, stable set-up, and frequent setting up to zero may be needed to secure accurate readings every time. It costs between $80 and $150. Best digital reloading scale for the money? All of these scales are desirable because of the speed with which they lend in the weighing aspect of reloading. It can be gleaned from the evaluation of the three leading brands in the market that these digital scales are highly sensitive, an inherent quality that can be both good and bad. Thus, they work best in tandem with balanced beams because the digital scales shorten the weighing time, and the traditional scale confirms the accuracy of the readings. Find the best reloading scale in 2019 on Amazon.